Many couples want to incorporate their loved ones into the big day and celebrating the life of those who have passed is no different. 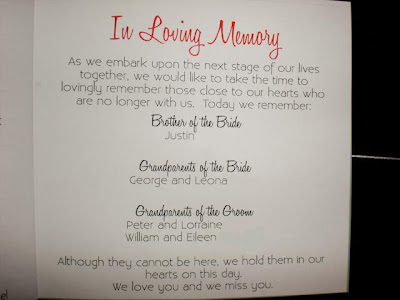 There are various ways to highlight these loved ones in both the ceremony and reception, I have picked a few of my favorites ways for some inspiration. #1. Photos. Probably the most common and the most diverse way to remember loved ones, photos can be used in many ways throughout the wedding day. 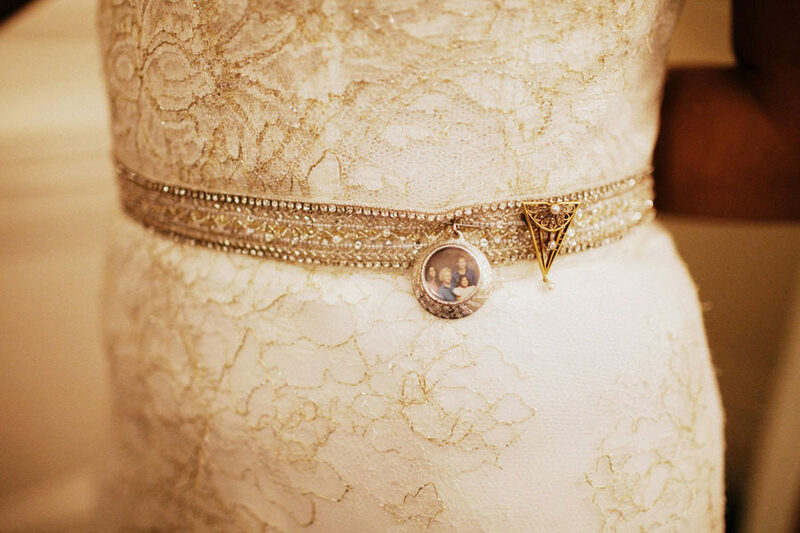 This bride kept her loved ones close by putting a photo locket on her wedding dress' belt while others choose to attach a photo locket to their bouquet. Another way is to set up a special space at the reception with photos and rememberance candles, which a FCW client did for her wedding in April 2011. Williams wedding 4.2.11, photo credit: KRR Photography Ltd.
#2. Ceremony. It is such a nice gesture to include a short note about all the loved ones both you and your future spouse will miss on this special day. Another idea is to include any readings or songs that remind you of these people. Some couples choose to incorporate rememberance into the wedding ceremony by set aside single white roses (or any flower you choose) to give to the direct family members of those who have passed on or simpy having a rememberance table. If you have immediate family members who have passed on, leaving an empty chair is a powerful gesture. #3. Reception. Having a dessert bar? Use some of your favorite family recipes and share Grandma/Mom/Aunt Becky's delicious treats with all your guests! 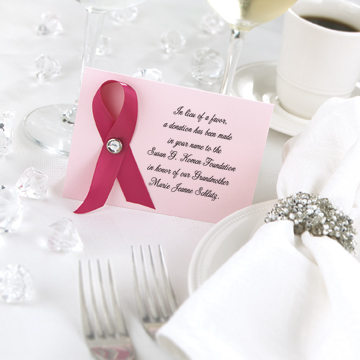 Favors are another special way to honor loved ones with a donation to a favorite charity or cause. Some charities like the American Heart Association will even gift you special favor cards to explain to guests where the donation is going and why. Wedding Parties Show Off Their Wild Side! Happy 3 Year Anniversary to FCW!